On 27 October 2016, the UN General Assembly adopted a resolution to negotiate a legally binding instrument to prohibit nuclear weapons in 2017. 123 states voted in favour of the resolution, with 38 against and 16 abstaining. This feat represents a meaningful advancement towards the elimination of nuclear weapons. It also represents a revolt of the vast majority of states against the violence, intimidation, and injustice perpetuated by those supporting these weapons of mass destruction. It is the result of several years of concerted advocacy by the International Campaign to Abolish Nuclear Weapons (ICAN), of which WILPF is a steering group member, and the dedication of a group of states to finally make progress on nuclear disarmament despite the intransigence of those who possess nuclear weapons. Negotiations on the ban treaty will be held from 27–31 March and 15 June–7 July 2017 in New York. 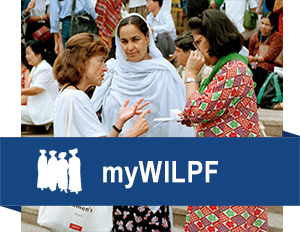 Ahead of and during the negotiating conference, WILPF will be working with our partners in ICAN, other civil society and international organisations, and governments to ensure the development and adoption of the strongest possible treaty. We will provide information, expertise, and analysis; we will monitor and report on the negotiations; we will coordinate civil society involvement; and we will work with partners around the world to raise awareness and ensure the ban treaty’s effectiveness!